Please contact us by sending an email to the SBHRS Events Coordinator or by calling (408) 243-3969 and leaving a message. Arrangements are handled by the SBHRS Special Events Coordinator. 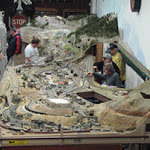 The rental fees received, in addition to public donations, member donations, and fund raising events, make it possible for the SBHRS to maintain the facility, provide displays for the museum, and purchase books for the library. Rental fees are based upon which rooms are used and the renter’s non-profit status. 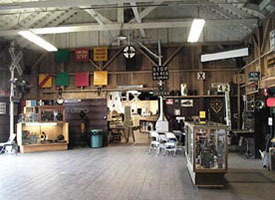 Meeting space is available at the Santa Clara Depot for individuals, organizations, and companies interested in meeting in a unique and memorable atmosphere. 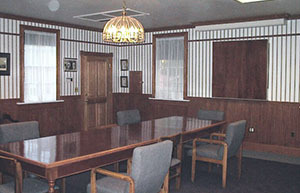 We have primarily two rooms available for single or multiple day events, the Freight House Meeting Room and the Boardroom.